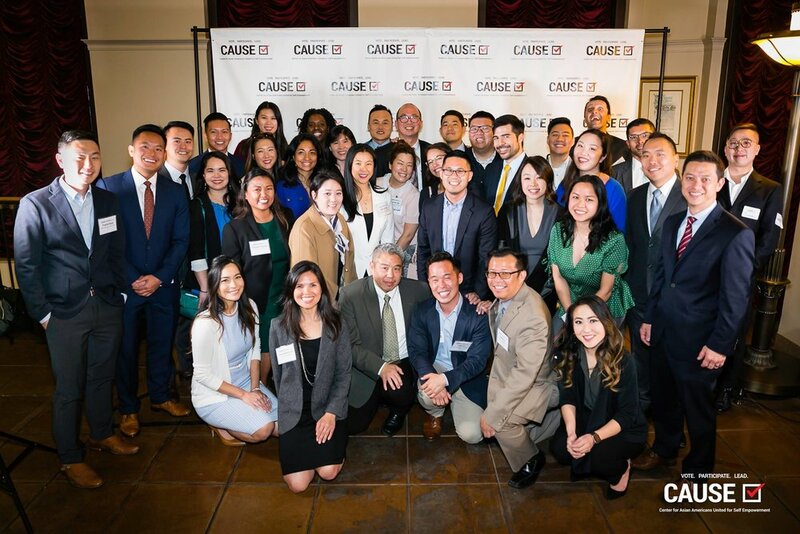 Los Angeles, CA – On Wednesday, March 27th, members of the CAUSE Leadership Network (CLN) were officially introduced to the community at the Meet the Network Reception which was hosted at Los Angeles City Hall’s Tom Bradley Tower. 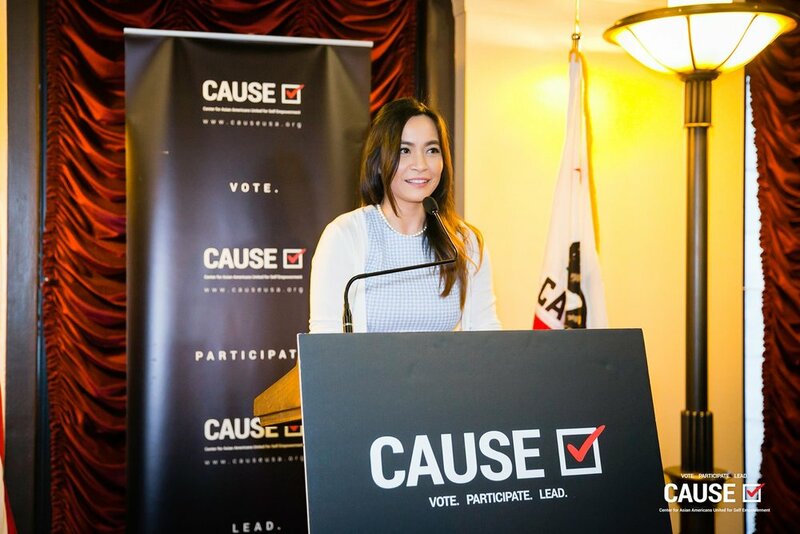 The CAUSE Leadership Network serves as a platform for today’s leaders across all sectors who are committed to creating a space for driving our collective AAPI Community forward. The Reception provided a space for networking between the CLN and invited attendees, which included corporate executive officers, nonprofit executive directors, and members of the press, etc. The evening started off with Network members mingling with other prominent community figures over drinks, light refreshments, and stunning panoramic views of the city’s skyline and surroundings. The program began with welcoming remarks from Jessica Caloza, Commissioner for Los Angeles Public Works and a member of the CAUSE Leadership Council. Jessica spoke to the significance of holding the reception at City Hall. 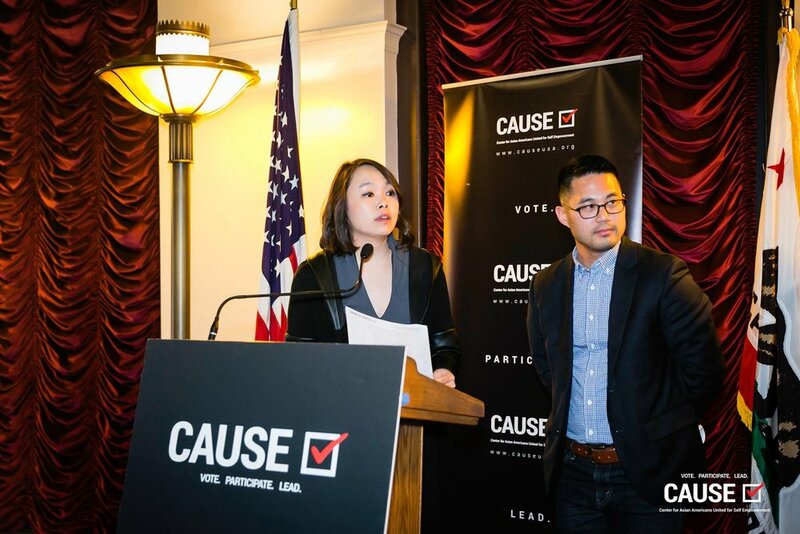 Next, fellow CAUSE Leadership Council members, John Tang and Jade Leung, introduced the origins of the network concept, community need, and the shared vision. In addition to covering the background, they shared the program’s mission and where the members see the Network going in the future. The program was concluded by Leadership Council Members, Lisa Thong & Thomas Wong, who shared what the Leadership Network has in store and what the community can expect for the 2019 year. Thomas closed the evening with special thanks to members, staff, supporters, and guests in attendance. The evening concluded with conversations between the members and guests as they continued to connect and strategize on how to work together to move the APA community forward. We’re excited to officially present the 2019 CAUSE Leadership Network! The CAUSE Leadership Network is an invitation-only, membership program and platform for next generation leaders to channel skills, expertise and passion for the purpose of cross-sector advancement and the empowerment of APA communities. Through opportunities for key connections, knowledge-sharing, and dialogue, CLN is a space dedicated to the mutual advancement of emerging APA leaders across all sectors. See a listing of all Leadership Network members here!